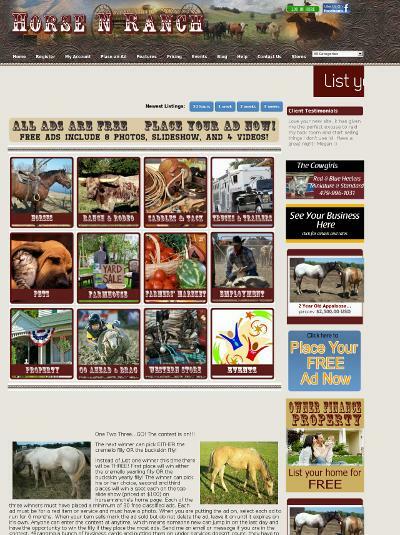 BsnTech Networks has helped the owner of HorseNRanch.com with some updates to their website. They are using a classified ad system. The owner of the website was very pleased with the efficiency of our work and the low cost for the changes they needed. HorseNRanch.com needed to have the newer version of the software installed on their website. BsnTech provided a full website backup in the event that the website needed to be restored – then performed the website upgrade. A few other changes and affordable website design updates were done based on the customer’s request. From start to completion, the changes were made within four days. BsnTech even completed the majority of the work on a Sunday to aid with getting the requested changes completed in a timely fashion. From the customer, she comments “You did a great job” in one e-mail and “Good job, looks good” in another.